With a lot of new members, we at Webhealing thought it would be nice if we would reintroduce ourselves and let others know why we're here and how we've been doing regarding our losses, and anything at all that we're comfortable sharing. My name is Pam and I "orginated" on the Sibling Loss Board. I lost my older brother, Tony, on March 29, 2009. He died of an accidental pill overdose. He leaves behind an 8 year old son (at the time), that my mother is rasing now, as my nephew's mother passed away 1.5 years prior to my brother. My name is Sonya. 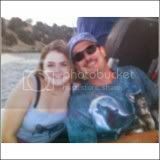 I lost the love of my life Tony to suicide on August 23rd 2011. I find it so very difficult that he died in this way. Wrapped up in all my grief at the shock that he no longer exists in the world is the horror of what happened and an enormous helping of guilt. And of course all the other emotions and swirling moments of numbness and tears. The pain of his life being completed way too soon. My selfish grief at the loss of my future, our future children, that image I always had of us sitting side by side on a bench outside our house, looking at the sea, two little old wrinkly people holding hands. Every time i feel upset, because he was the one who would comfort me. I am also so very, very grateful for getting to have the best person that I have ever met in my life. I realised the other day that I got to live with him, to spend more time with him than anyone else in the world. We went travelling together so I had a whole year of just the 2 of us. We spent so much time together that when we got back I missed him when he went to work for the day! And I hold on to that realization like a gluttenous child with a huge cake and a chocolaty face! I dont care how self-indulgent that is, its my guilty little pleasure! You were a beautiful couple and you will always hold him in your heart! Every time I look at that photo of the two of you and can see the love radiating between you! Please tell us more, about him, yourself, your feelings, whenever you can.